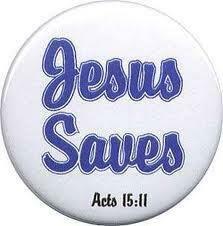 My Little Story: Jesus Saves! I heard a story about two people; a Christian, and the other an unbeliever (bearded man) who were travelling by air. It was six hours journey so the Christian took the opportunity to share the Good News about the Kingdom of God with this unbeliever. This guy shared a message on how Jesus is protecting God’s children 24/7. The unbeliever didn’t believe what the Christian was saying so he asked if he (the Christian) could keep his mouth shut. After about 45 minutes, the pilot announced that he had lost control of the plane and that it could crash any moment. When the Christian heard the news, he cried out loud; “JESUS SAVE ME!” Immediately, he disappeared from the plane. Fascinated by what he has heard and seen, the unbeliever opened his mouth in attempt to repeat what he heard but “JESUS SHAVE ME!” came out. Immediately, his beard disappeared. The plane crashed and he died. Jesus protects God’s children 24/7. The scripture says “For whosoever shall call upon the name of the Lord shall be saved.” (Romans 10:13, KJV) In times of trouble call on Jesus and He will save you.